Moving day ends when you unload the truck at your new house or apartment. However, the moving process continues for several days as boxes need unpacking, furniture needs arranging, etc. In order to help you settle in faster, our movers in Gainesville made this easy-to-follow, post-move checklist divided by timeframes — feel free to add or subtract tasks per your situation! 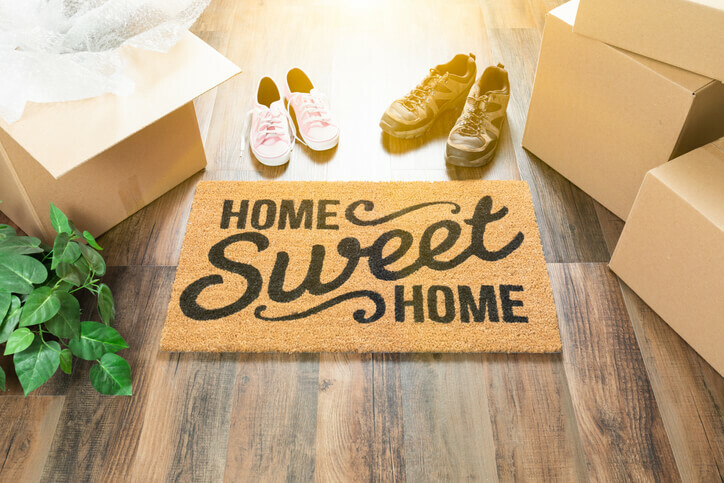 Before moving into your new home, be sure to set up the utilities, so you don’t have to spend the first night with no electricity or (gasp) Internet. If you’re moving to Gainesville, here are links to local utility companies. Gainesville Regional Utilities (GRU) provides electric, natural gas, water, and other services. Check with your landlord or realtor to confirm which services are your responsibility. Cox Communications offers cable, Internet, and phone services. It takes a few days to process a new account or transfer your services (and longer if you’re not doing self-installation), so call in advance! If you’re changing your cellular plan to get a local number, AT&T and Verizon purportedly have the best cell phone coverage in Florida according to WhistleOut. As for the cheapest cell phone plans, NerdWallet reports that Sprint ranks high for non-prepaid plans while T-Mobile ranks high for pay-as-you-go plans. And when you need to buy, sell, trade, or repair a phone in Gainesville, a popular location is Re-Tech in Butler Plaza. Lastly, before you move, don’t forget to cancel the utility accounts for your previous address. You don’t want the new residents filling their backyard swimming pool while your name remains on the water bill. Once your belongings arrive at your new home, inspect individual pieces of furniture and fragile items. We’re not saying it’s necessary to use a magnifying glass to find hairline scratches, but you should take a quick look over each item as it comes off the truck to ensure the item is in the same condition in which it was loaded. Professional movers accept liability for damaged items. They also take care not to damage items when moving them. But if you spot any scuffed or broken items, let the movers know. You’ll have time in the coming days or weeks to finish unpacking, so get to the essentials first. If you planned ahead, you may have set aside boxes with special items to get you through the next couple of days. These might include toiletries, shower items, clothing, and food. If you didn’t pack a first-day box, hopefully, you at least labeled the boxes. Check which ones contain your toiletries, especially towels, clothes, and kitchen items for cooking. Now that you’ve gotten through moving day, your attention should turn to tasks that should be completed during the first week. There’s not much to it but to do it. Grab a box, pull out the contents, and put them in their correct places. Finish unpacking one box before moving to another, and always throw away or recycle packing materials to avoid a mess and save the planet. Not everyone has the stamina to unpack a full house. If that’s the case for you, check with your moving company for packing services. They also can help with assembling furniture, transporting items to storage containers, or carrying bulky items up stairs. Many of us have to move for purposes related to work or school. Whether you came to Gainesville to attend the University of Florida or Santa Fe College, or you moved here to start a job, it’s helpful to plan your route before your first day’s commute. The best route might not be the shortest distance. Sometimes, preferred routes have the least traffic or the fewest tolls or potholes. In addition to giving you the shortest route, Google Maps also has filters you can set to find the fastest route and spot traffic well ahead. iPhone users can take advantage of Apple Maps, which lets the user avoid tolls. Both apps are free. But if you’re willing to cough up some dough, MotionX GPS Drive is another highly rated paid app that gives directions in multiple voices and even remembers your parking spot. After a week, you should be settling into life in your new home. Before you call the move over and done with, you’ll want to address a few final tasks. Most states have laws requiring residents to update their driver’s licenses within 10 or so days after changing addresses. If you’re a Gainesville resident, you’ll want to head to the nearest office of the Florida Highway Safety and Motor Vehicles (FLHSMV). To save time and avoid standing in line, you can take care of new licenses, tags, and plates online. A housewarming party is a great way to meet your new neighbors — once your home is fully unpacked and presentable. If you’re in a residential neighborhood, try going door-to-door to meet your neighbors. Just be mindful of the fact that some people are less welcoming of drop-ins. If you have friends in the area, be sure to invite them, as well. Having a few familiar faces in the crowd can help to cut through any lulls in conversations between new people who are just getting acquainted. Whether you’re planning a move, in the middle of one, or finishing up the last steps, UF Mover Guys can help. We offer everything from full-service moves to individual services, such as packing, loading and unloading, and even temporary storage. We also handle local moves within Gainesville as well as long-distance relocations. Contact us to schedule your move!